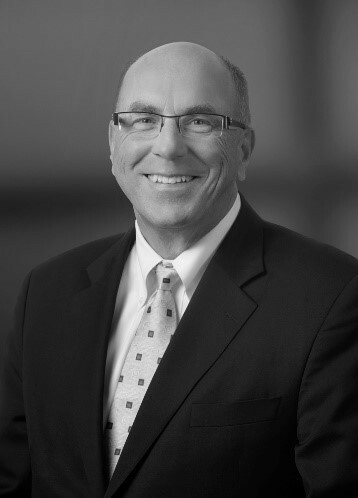 Eric Markell brings over 35 years of experience in the utility and power industry. His efforts include leadership roles in the areas of corporate finance, accounting, regulatory relations and rate-making, asset acquisition, generation operation and construction, project finance and project development. In 2012, Eric founded Markell & Company LLC, a boutique advisory firm specializing in business strategy and transaction advice. Recent clients include: a renewable power development and EPC company, an enhanced oil recovery and development firm, a biodiesel manufacturer, a private equity fund, a wind development company, a biomass power company, and an oil and gas pipeline company. Eric is a retired senior executive of Puget Energy Inc., and its Washington-based utility subsidiary, Puget Sound Energy, where from 2002 to 2012 he held positions as Vice President Development, Chief Financial Officer, Chief Resources Officer and Chief Strategy Officer. As Chief Strategy Officer Eric was responsible for identifying regulated and un-regulated growth opportunities and the company’s $115 million per year Energy Efficiency Services line of business. As Chief Resources Officer he was responsible for power supply operations, energy trading, system resource scheduling, integrated resource planning, and resource acquisition activity. As Chief Financial Officer, Markell worked closely with the CEO and the Board of Directors to take Puget Energy “private” and worked to close the merger and sale transaction with a consortium of Australian and Canadian infrastructure investors. He directed the preparation of the merger case testimony and filings with state regulatory agencies and served as principal company witness during testimony. The transaction totaled $7.4 billion and valued the company at approximately 1.5x book value and 1.25x its market capitalization. In the 1990’s Eric served as Vice President and Chief Financial Officer of United American Energy Corp., a private independent energy company specializing in turnaround management of distressed energy companies. He is also a past Treasurer and Controller of Central Hudson Gas & Electric Corporation (now owned by Fortis). Prior to joining Central Hudson, he was Vice President and Treasurer of the New York State Energy Research & Development Authority, a public benefit corporation active in utility finance and energy research and development. In addition to running Markell & Company, Eric co-founded Trident Winds LLC, in 2015 to pursue an early stage California offshore wind development property, he serves as a director of the ENMAX Corporation in Calgary AB, and he performs as a Director of The Hudson Renewable Energy Institute in New York. Eric is a recognized energy and utility industry expert who regularly serves as a speaker and panelist at industry conferences and meetings and he is a guest lecturer at selected colleges and universities. His private passion is equestrian in nature. Eric is a Governor of the United States Eventing Association and member of the US Equestrian Federation Eventing Owners’ Task Force. The Task Force is responsible for supporting the financing, training and preparation of both horse and rider for international and Olympic competition. Eric holds a Bachelor’s Degree with distinction in Economics from Union College, Schenectady, NY, and a Master’s of Public Administration degree from The Maxwell School, Syracuse University.